On the hottest day of the year—hotter than broccoli soup and hotter than the Atacama Desert—a boy and his grandad are on the hunt for the perfect picnic spot. Their sun-filled search becomes long and drawn-out but proves fruitful. What ensues is an epic afternoon replete with gleaming adventure, new friends and patience rewarded. To be immersed in Sam Usher's sweeping, picturesque watercolors and magical visual storytelling is an incredible treat—don't miss out on this one. 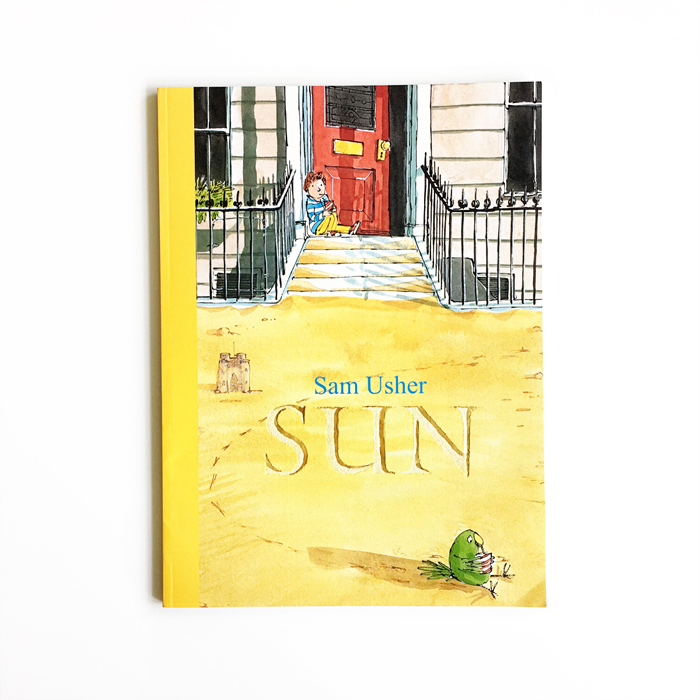 SUN is the third story in Sam Usher's seasonal series and was published by Templar.